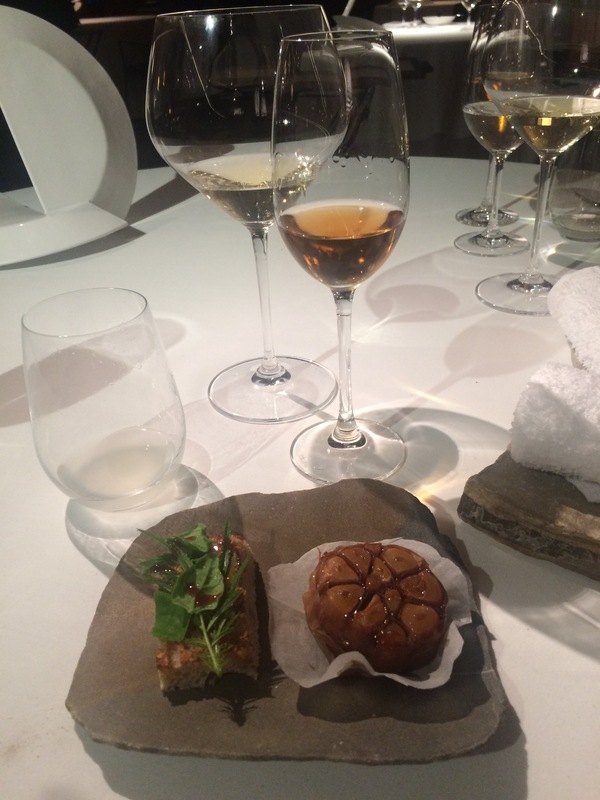 An absolutely inspired pairing in Mugaritz last night. Here you have a head of garlic roasted with lamb juices – you squeeze the teeth out onto a toast with parsley and then in she goes. The dish itself is just as tasty as it sounds – absolutely delicious – and the savoury, nutty palo cortado by Equipo Navazos not only stands up for itself but is in perfect harmony. 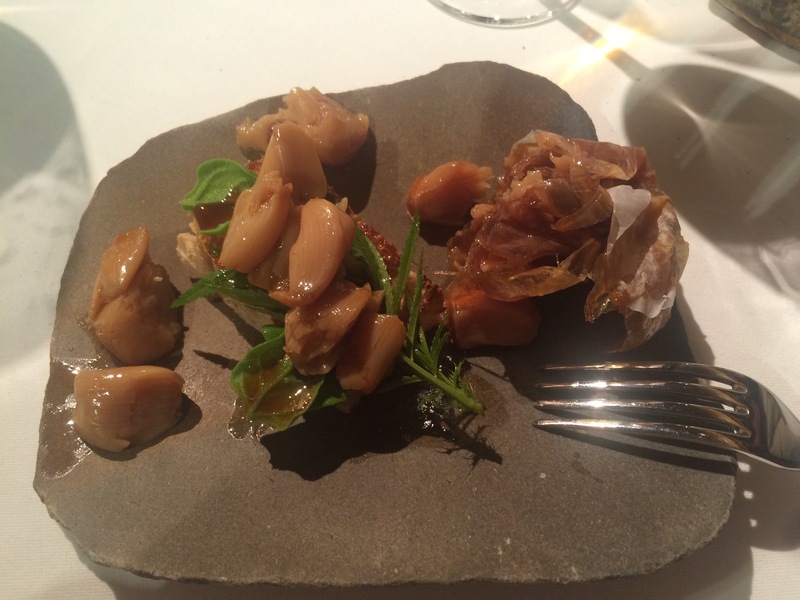 Guillermo Cruz – the sommelier at Mugaritz – is a genius and this is evidence.